American voters seem relatively united when it comes to taxing ultra-wealthy citizens. A new poll by Politico and Morning Consult, involving 1,993 people from Feb. 1-2, found that 76% of registered voters surveyed think wealthy Americans should pay more taxes. 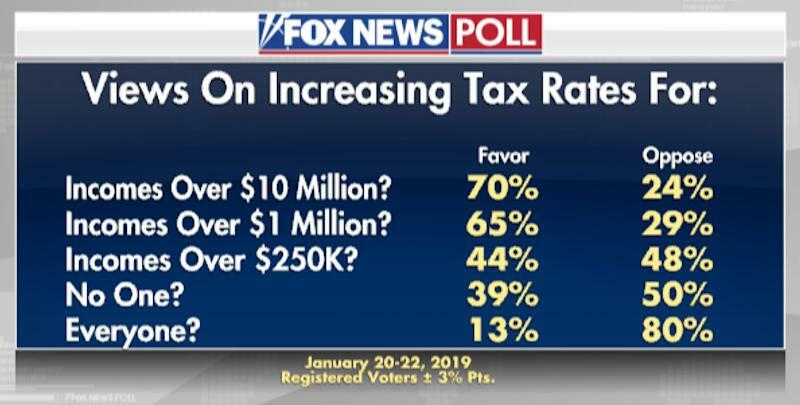 This comes after a recent Fox News survey of 1,008 registered voters found that 70% of Americans — including 54% of Republicans — are in support of raising taxes on those who earn more than $10 million. "There is a deep wellspring in terms of perception of unfairness in the economy that’s been tapped into here that either didn’t exist five years ago or existed and had not had a chance to be expressed," Michael Cembalest, chairman of market and investment strategy at JPMorgan Asset Management, told Politico. "This is quite a moment in American economic history where all of a sudden in a matter of months this thing has kind of exploded like this." Liberal Democrats and presidential hopefuls recently proposed major tax overhauls that involve high taxes on the wealthy. 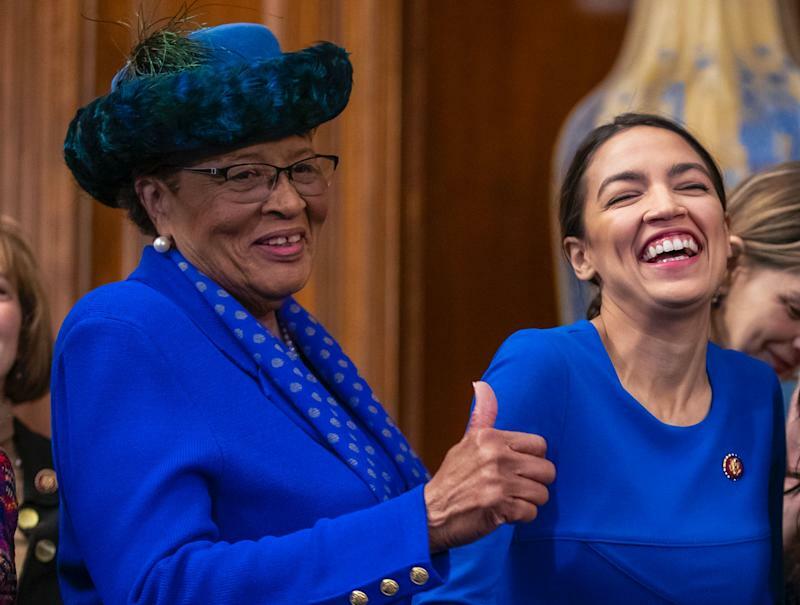 Congresswoman Alexandria Ocasio-Cortez (D-NY) proposed a 70% tax on those who earn more than $10 million. The idea received support from 59% of respondents in a Hill/HarrisX survey (in addition to the Fox News poll). In the new Politico survey, 45% of respondents favored the plan while 32% were against it. 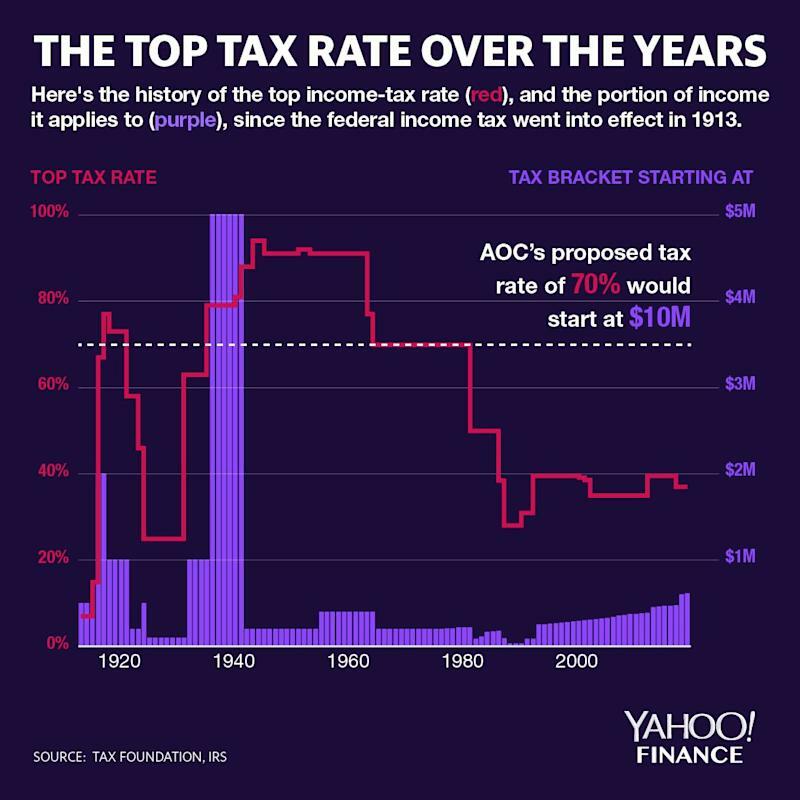 Yahoo Finance’s Rick Newman recently argued why it is unlikely that there will be a 70% tax rate in the near future for two reasons — trust in the government has plunged and the government is bigger than it used to be. Democratic presidential candidate Elizabeth Warren (D-Mass) has proposed a 2% wealth tax on individuals with a net worth over $50 million and 3% tax on those over $1 billion. In the Politico poll, 61% of respondents supported it while 20% opposed. Newman noted the obstacles that Warren will face if she tries to pass her tax proposal include the 16th Amendment, which exempts income taxes from the apportion requirement but makes no mention of a wealth tax. Sen. Bernie Sanders (I-VT), a likely Democratic candidate in the 2020 election, “unveiled a proposal that would expand the federal estate tax on the wealthiest 0.2% of Americans, imposing a top rate of 77% on estates worth more than $1 billion,” CNN reported. Not everyone agrees with raising taxes on the rich. Larry Kudlow, a top economic adviser for the Trump White House, recently told Fox Business that taxing the rich “never works” and that it blunts innovation. 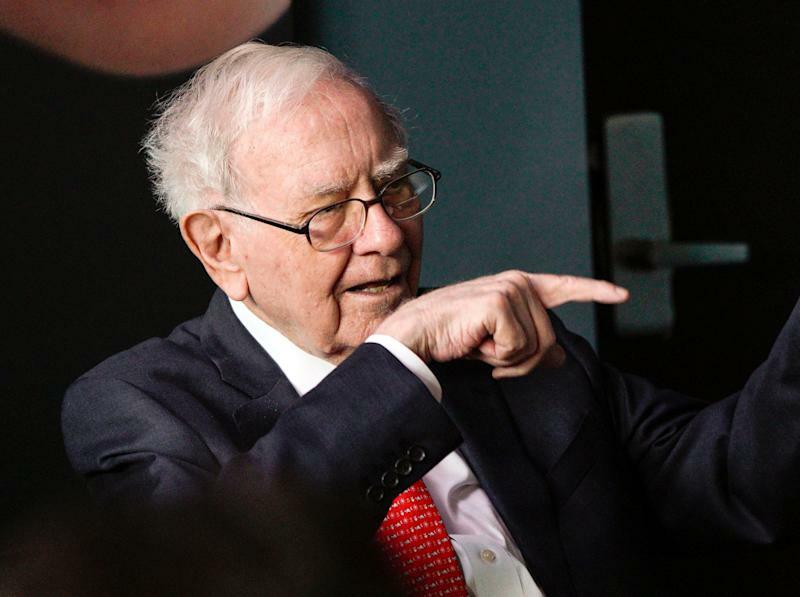 On the other hand, billionaire and legendary investor Warren Buffett believes that higher taxes would actually help create more people like himself.